We are pleased to announce that 28 projects have been entered into this year’s main awards. We have strong entries in all three categories for infrastructure, building and elemental. All winners will be announced at our awards evening to be held on the 30th of March 2019 in the Clayton Hotel, Burlington Road, Dublin 4. Tickets go on sale soon. Click here to view the nomination list. 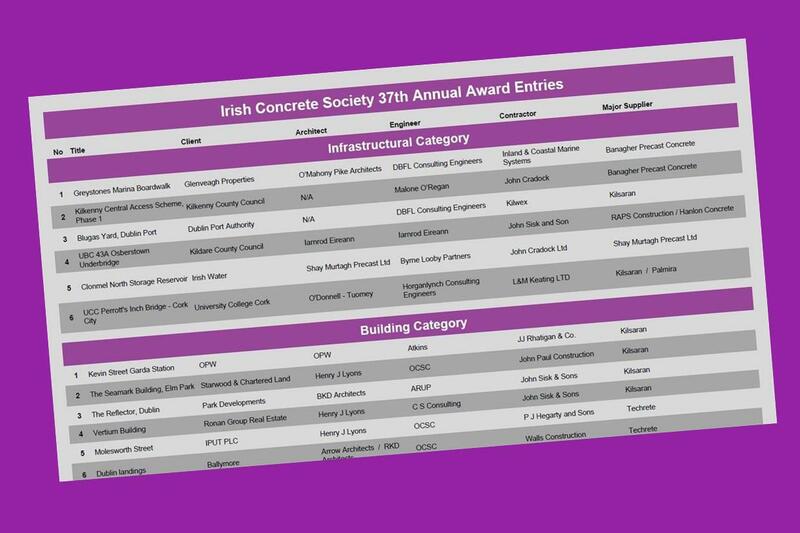 If you would like further information or have any queries in relation to anything on our website or about the Irish Concrete Society please contact us today.